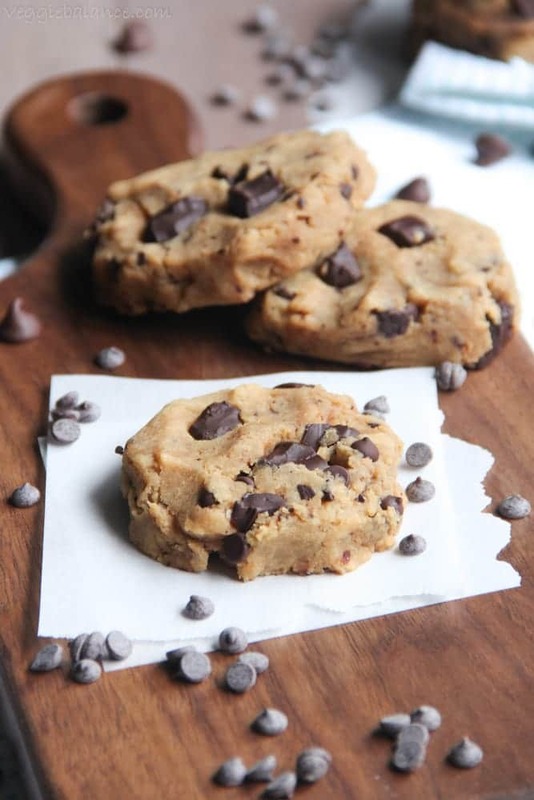 Healthy Chocolate Chip Cookies recipe. Just 7 ingredients turn into gooey moist amazing chocolate chip cookies. bonus! It’s a healthy cookie with no oil or butter added. 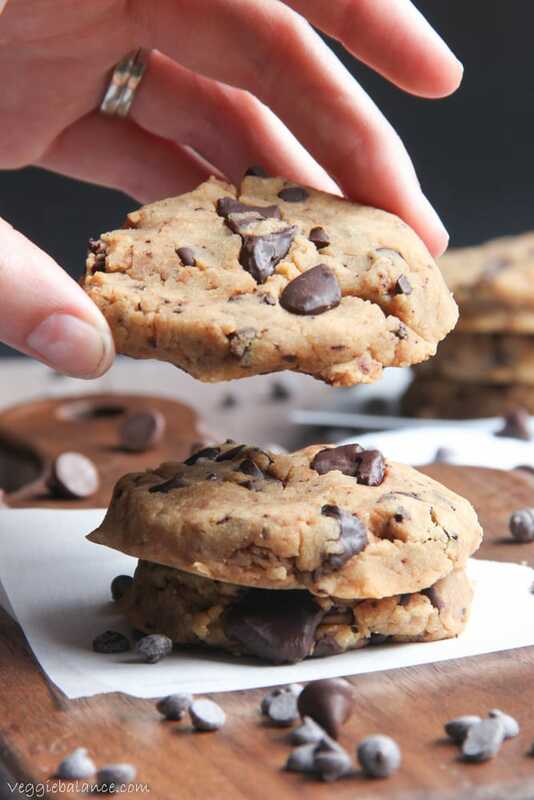 These healthy gluten free chocolate chip cookies are what you and I have been waiting for since the very day I was told I needed to go gluten free. 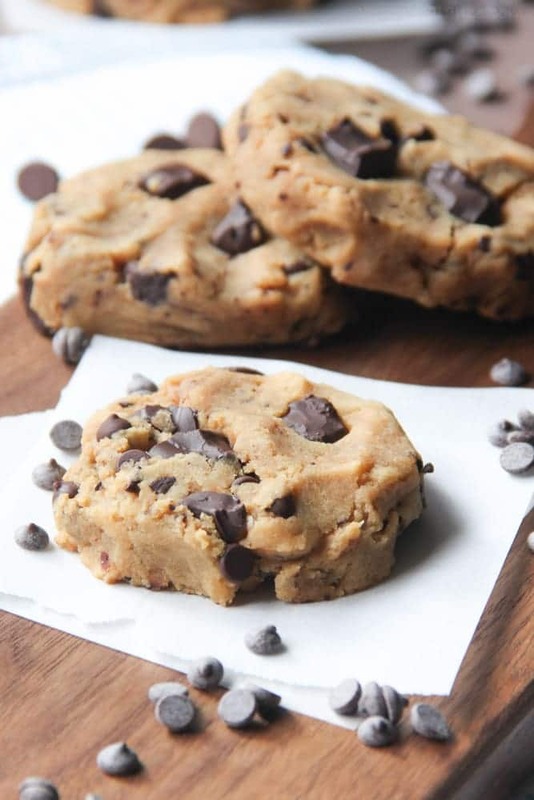 Best Things about these Healthy Chocolate Chip Cookies? No oil or Butter added! This all means I get to eat more cookies! I made these rocking flourless double chocolate chip cookies not too long ago and oh my word YUM. However, they definitely are not the healthiest in the world. They are what got me kicked into gear to re-create myself a healthy and gluten free chocolate chip cookie. Let’s be honest we all need healthy chocolate chip cookies in our life, right? Here is why. They complete your soul. Not enough reason? Alright. 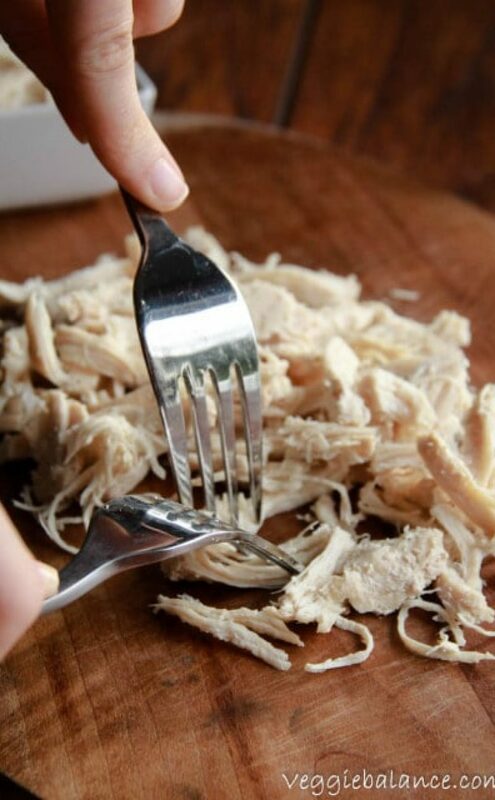 Pulled together with just 7 easy and simple ingredients I bet you’ve got on hand NOW. Meaning you are getting cookies, like, right now. The sweet and natural ingredients complete these healthy gluten free chocolate chip cookies and really complete my soul. 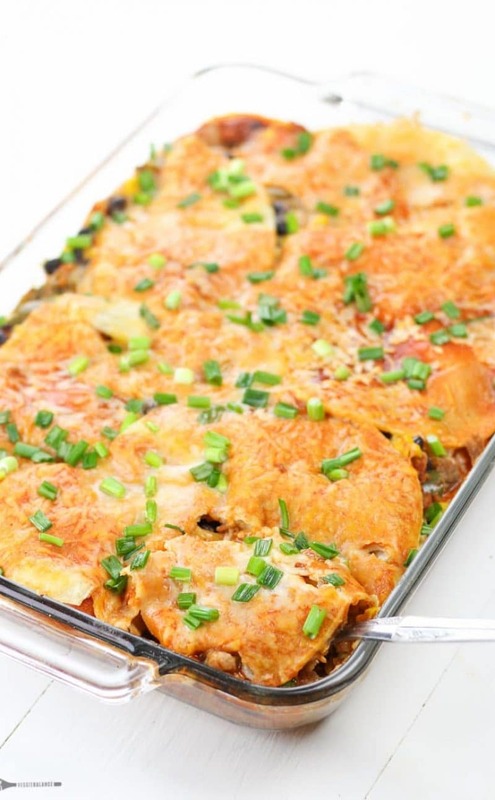 With such simple ingredients, they are still sinfully delicious, moist and so easy to pull together. Told you it’s a winner. Winner winner healthy chocolate chip cookies for dinner?! Don’t have to tell me twice. The night I pulled these together I ate so much dough and cookies, I actually did skip dinner. Cookie dough that has zero eggs in it is dangerous. There is nothing stopping me from demolishing every leftover dough bite. Or lets be real, spoonfuls of dough. These gluten free cookies can most definitely be made with normal flour if desired, they are very similar to my original Skinny Chocolate Chip Cookies I made a couple years back. We are going to have to create a new Top 5 Healthy Cookie recipe list because these babies deserve a spot. Should I make 4 more cookie recipes to help join the newest addition of cookie heaven? Yes, I just responded to myself. I love excuses to make cookies. Cookies are so easy to make in terms of prep and within 15 minutes you can enjoy them with a large glass of milk. Or my favorite is with a cup of tea. Is that odd? R seems to think so. He also thinks that dark chocolate is the nastiest thing in the world though, which I highly disagree with. I actually made a batch with 100% unsweetened bakers chocolate and he happily ate an entire batch with that chocolate by himself without one acknowledgement they had super bitter chocolate in them. Told you dark chocolate is delicious. Wife is always right. I need some rich dark chocolate in my life. Those antioxidants need to assist my body on repairing itself. We’ve for some reason (I’m a glutton for punishment) signed up for a half-marathon one month from now. My shoulder is holding up, however the rest of my body is screaming at me. Between the long runs for training and cookbook editing I’m making an executive decision and deciding I truly have earned these healthy chocolate chip cookies. Don’t believe me? 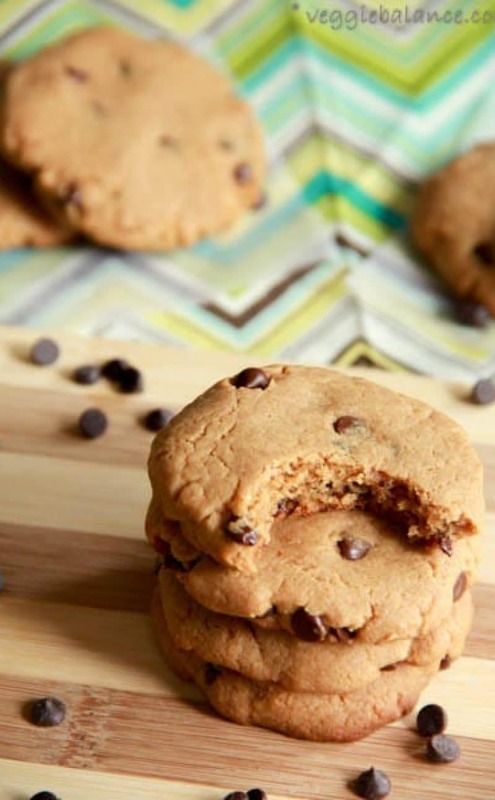 See for yourself just how easy these healthy chocolate chip cookies are to make! Healthy Chocolate Chip Cookies recipe. 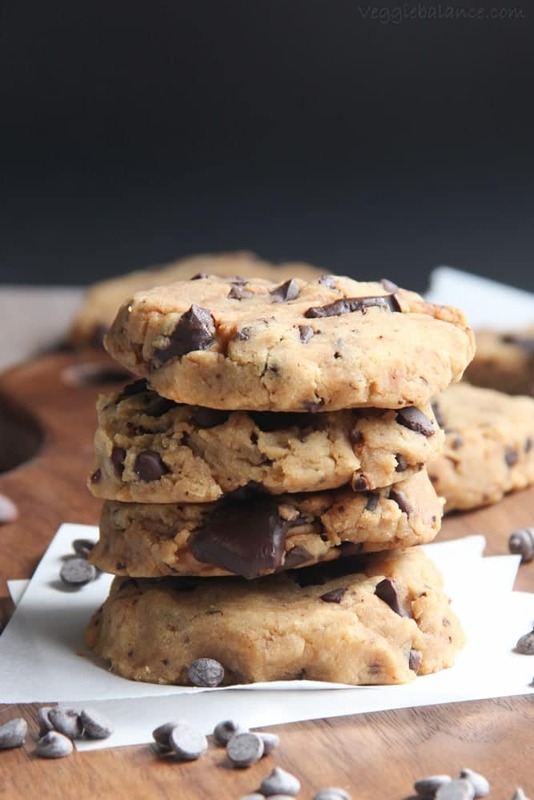 Just 7 ingredients turn into gooey moist amazing chocolate chip cookies. bonus! It's a healthy cookie with no oil or butter added. Mixture will be slightly sticky. Drop the dough onto baking sheet by the Tablespoon. They were not spread out during being baked so make sure you have them looking the way you want them to look. I personally like to flatten them and make them more of a circle cookie. Can I make it without peanut butter??? Hi Jessica! You can try another nut butter (i.e. Almond butter) or sunflower butter if you need to avoid nut butters all together. I’ve never made it with sunbutter but I THINK the sunbutter would work better though as almond butter can dry out quite a bit when baked. This is too good to be true. I will be making these shortly. Thanks! I didn’t see point value per cookie. You mean Nutrition Information? It is below at the bottom of the recipe box. 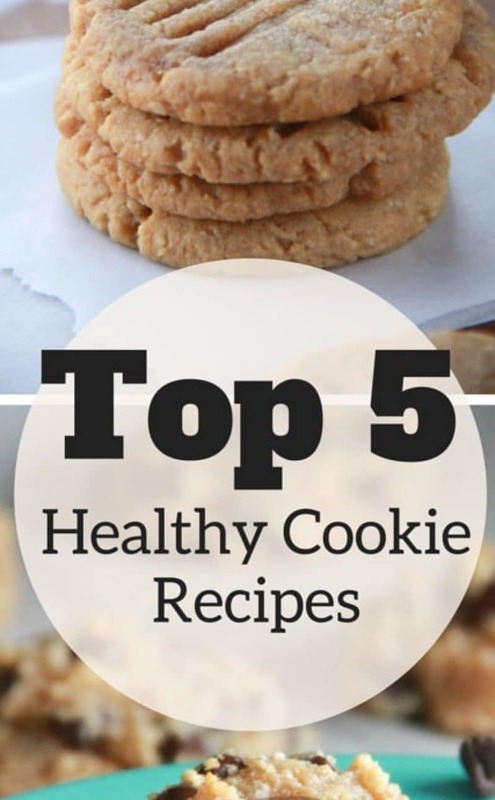 I love a good cookie and adding Gluten Free and Skinny to the mix only makes it better. 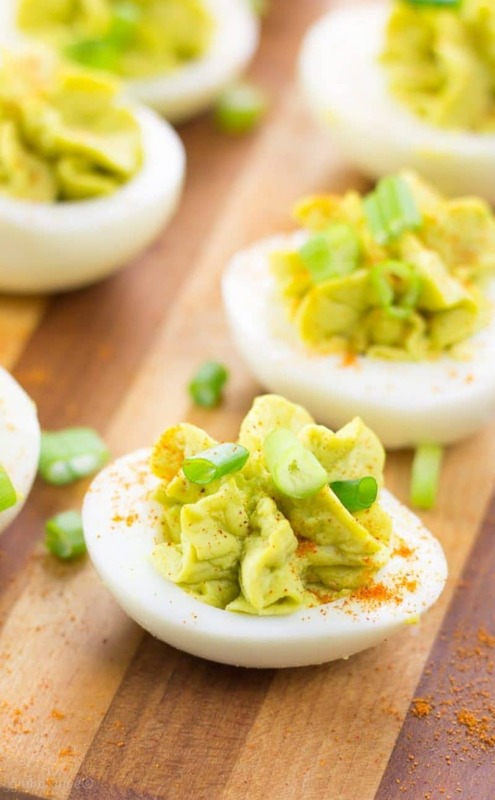 While I admit, I’ve eaten raw dough (with eggs) for decades, I’m excited to try this recipe because most eggless recipes I’ve seen call for things like chickpeas. Mmm I’m a sucker for cookies too. 😉 Happy Baking! 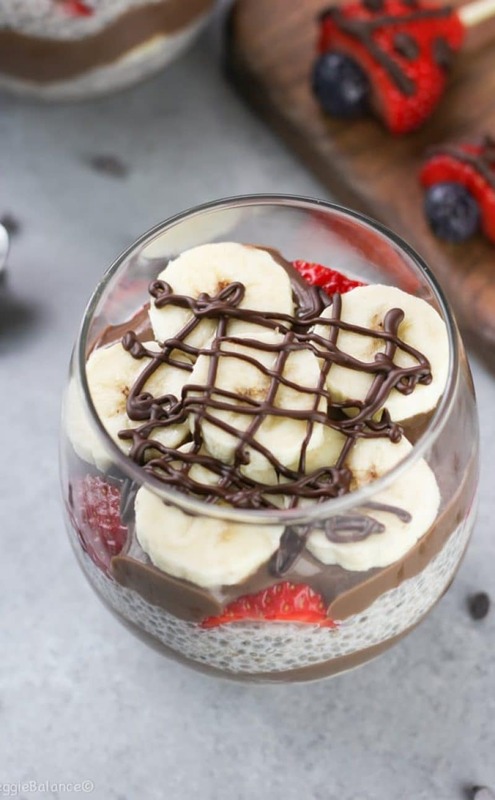 This will satisfy my sweet tooth! Totally going to bake these cookies! Pinned! I can’t wait to try this cookie! Its just what I need! 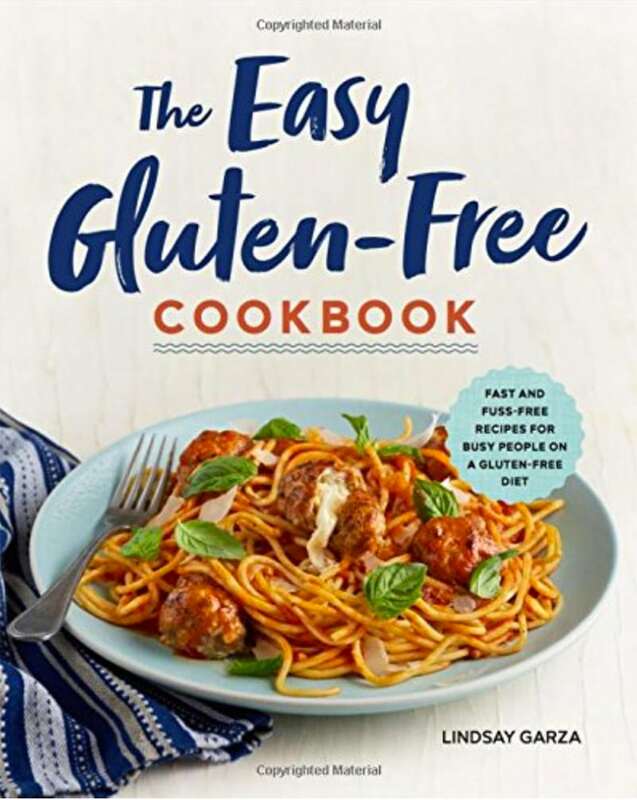 What gluten free flour did you use? My absolute favorite is the 1-1 Gluten-Free Bobs Red Mill Flour. I actually like it better then any mix I’ve ever tried and even the one I made myself. It’s amazing. 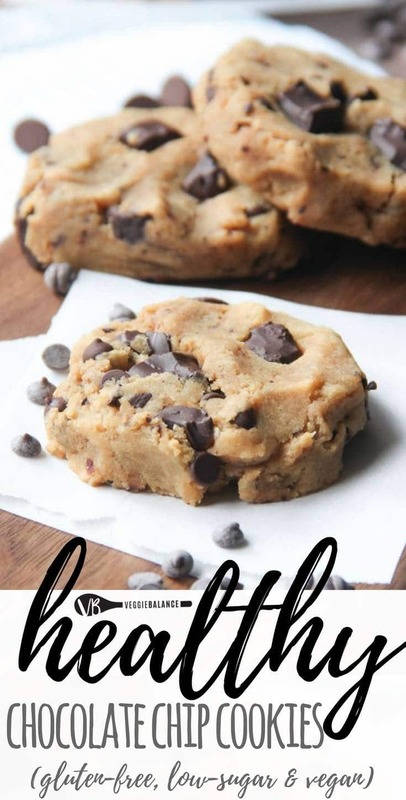 I’ve seen many recipes for healthy chocolate chip cookies but this may be the best! Ok, i saw this video the other day. Went to make them tonight, but didn’t see this one, only the “skinny” one. Which is basically the same recipe, except this one has half the amount of applesauce. And of course, once my batter is done and in the refrigerator, I found this recipe. Of course. So now I’m worried that although I am following one of your recipes, what I’ve done won’t turn out. Do you plan to take one down or alter the other? Thanks. Oh no! Hope they turned out alright! The other one is a really old recipe from before I was diagnosed and that older recipe uses normal flour. Throughout the years I’ve added those subs for the people that did land on that recipe. It’s a rather forgiving recipe though so hopefully it turned out right using with that extra applesauce with the gluten-free flour! Can this be used with all purpose , white whole wheat or even oat flour for those that aren’t gluten free? These sound so good but I don’t have gluten free flour on hand. 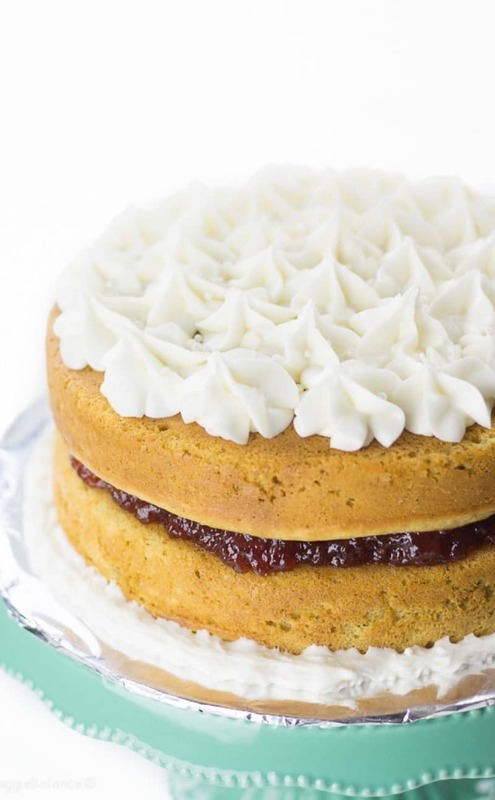 Yes you definitely can use all-purpose flour in almost all our recipes. The gluten-free blend we use mimics all-purpose flour rather well so the results should be similar. Hi Lindsay, do you think I could use oat flour? Or even coconut flour? Thanks! Oat flour is definitely possible. Coconut flour you should be able to use but it’s not a 1-1 ratio. It’s more of a 1/4 to 1 cup ratio, the coconut flour being the 1/4 cup. Hope this helps! 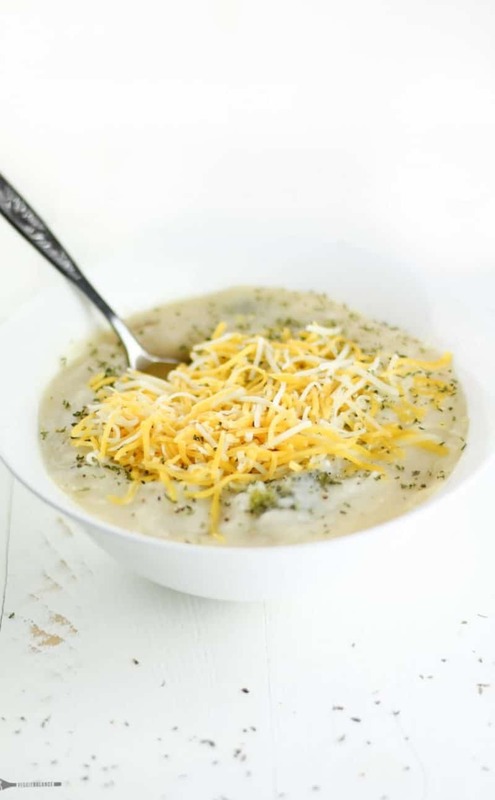 Just wondering but is this recipe vegan? Yes it is vegan friendly. I tried making the cookies and my son loves it. I want to make it for my niece. But she has peanut allergies, what is an alternative to peanut butter. Please reply. Thank you. THE BEST gluten free cookies I’ve EVER tasted!!! I made these with oat flour and they were AMAZING!! My kids love them and they are seriously the best gluten free/naturally sweetened cookie I have tried. And I have tried a lot! !